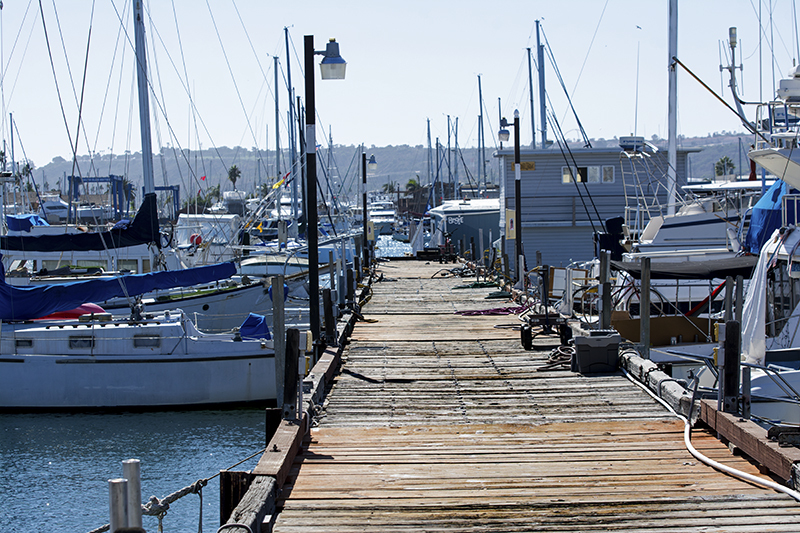 It seems like there is an imaginary line between Driscoll’s Wharf and its neighbor, Point Loma Marina. 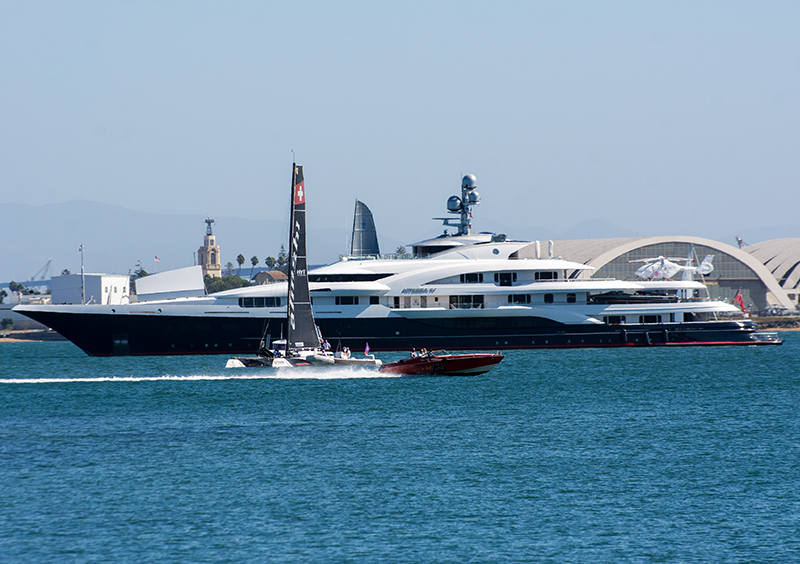 Both are part of what San Diego calls the America’s Cup Harbor, but that is where the similarity ends. 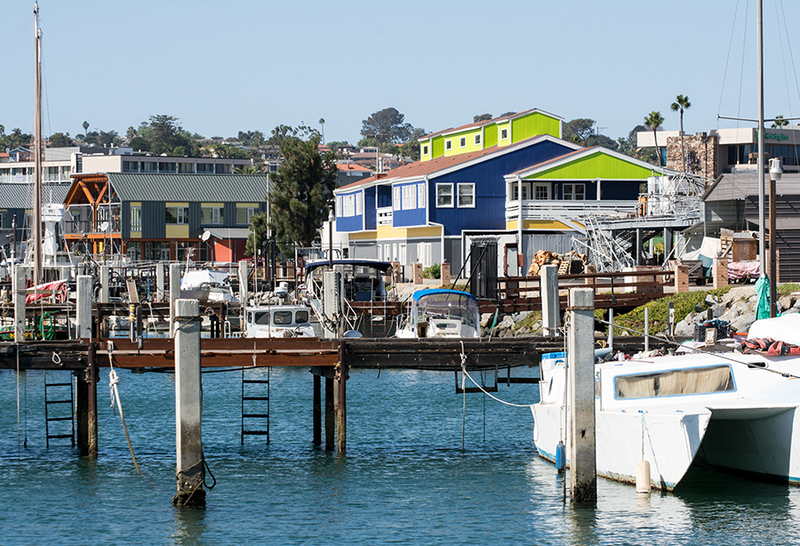 Point Loma Marina is a new addition to San Diego with its metropolitan design and homey feel. 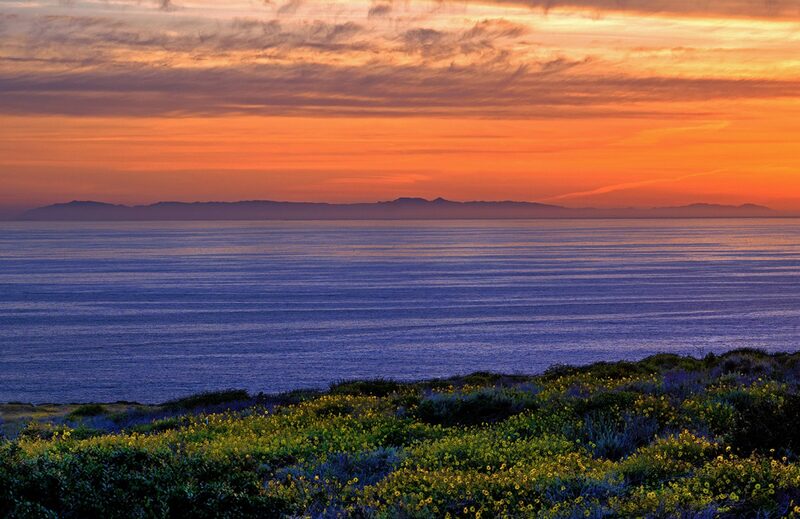 Cozily nestled below the foothills of Point Loma, it is only minutes to the main bay and features a few shops, restaurants, a fully-stocked tackle store, plus boat rentals are nearby. There is a small grassy area between the buildings for you to relax and enjoy the atmosphere. 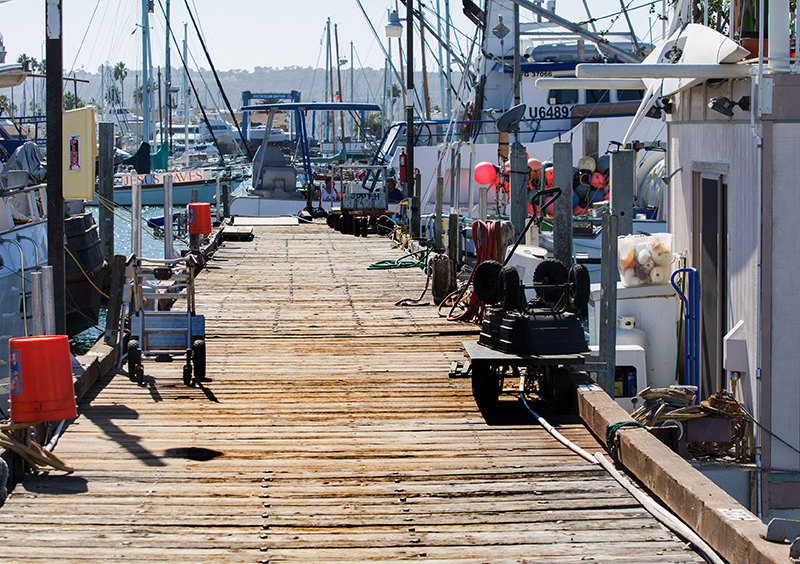 I wrote a blog on the Point Loma Marina a few years back but didn’t walk as far as Driscoll’s Wharf. Being on a parking time limit, we didn’t get a chance to explore as far as we would have liked. 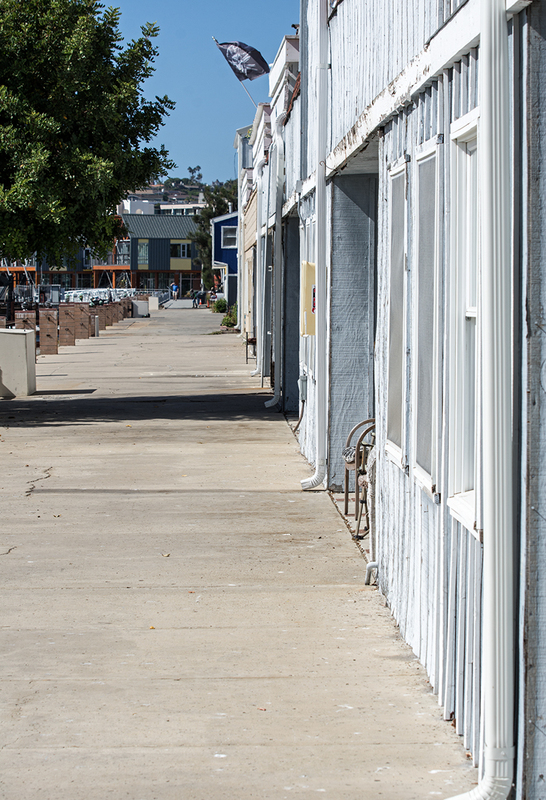 This time we strolled along the sidewalk all the way to the end which is nearer to the main San Diego Bay. You could visually see where one area ends and where the other begins by the buildings alone. As you enter Driscoll’s wharf, you leave behind fresh, award winning, and modern architecture, only to arrive at old faded buildings that looked abandoned. Paint was chipping off and all the windows were closed. At the very east end, one structure appeared to be a former restaurant or yacht club. I thought what a waste to have that prime area with a full view of the bay just sitting there, empty of life. Well, as far as I could see it was doing nothing. If it was being used, you’d think people would be out there on this super hot Saturday afternoon enjoying a cocktail under the shaded umbrellas. Nobody was around except for a few slip owners heading out to their boats, otherwise it was dead quiet. So we closed our eyes and invented a quiz to count all of the sounds that you would hear at a marina. 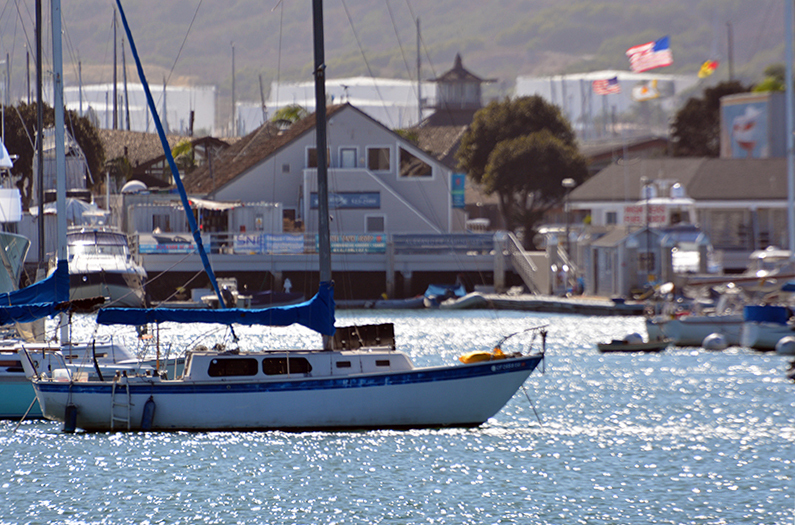 Sea gulls squawking, one… water lapping on boats, two… rigging hitting masts, three. We even heard a harbor bell, four. People talking while walking by, wait what? They don’t count. 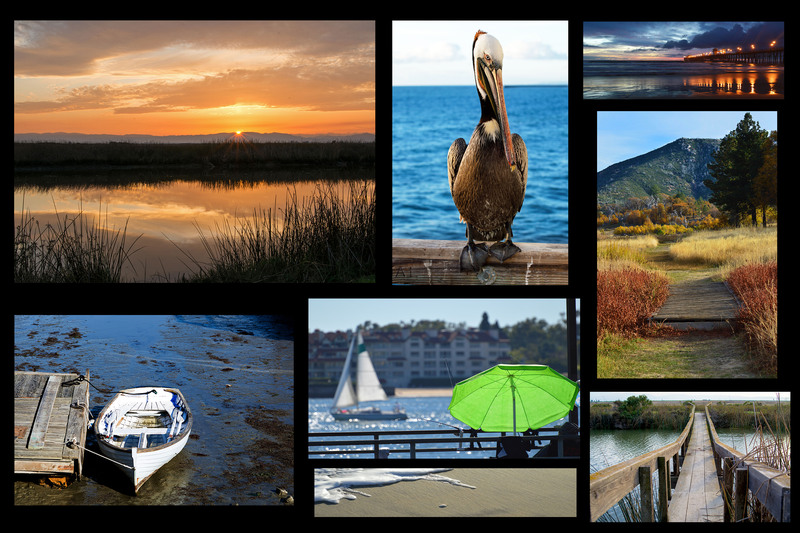 A group was heading out to their boat and let us come on the dock to take a few photos while inside the locked gate. The wooden planks that made up the dock felt like you were on a trampoline as they were old and moved up and down with every step. Looking around, the whole place was getting on in age and looked like it hadn’t seen a hammer in a long time. In the newer part, they had cement walkways featuring new wooden rail posts with heavy duty wire running through the thick stakes, but here there were no rails at all. You were on your own, don’t get too close to the side, and watch out if you have had a few drinks. But that made it all the more interesting in my opinion. 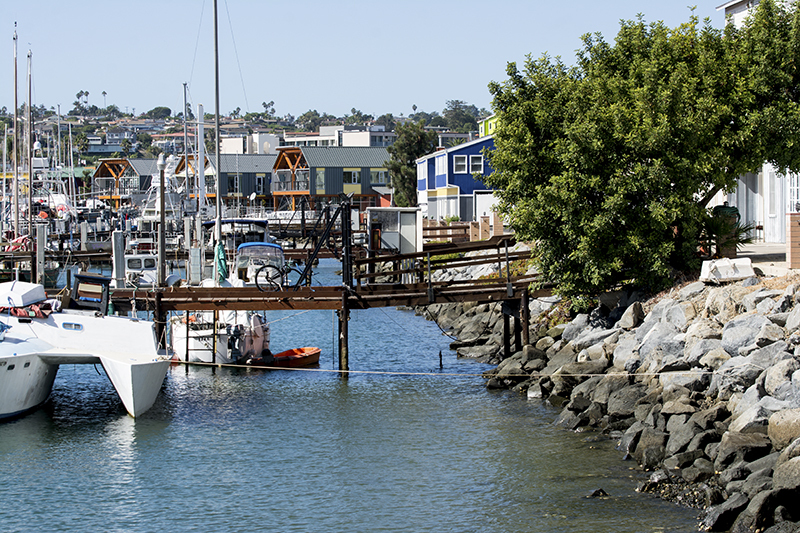 This unique marina is home to private commercial fishing boats as well as pleasure crafts. There was a huge and beautiful house boat in one of the slips and every other size water craft was moored in this 128 slip marina. Some looked sea worthy while some looked like they should be sent to the scrap yard, but, as mentioned, this just makes it more fascinating to me. Driscoll’s is one of two remaining commercial fishing wharves in San Diego, and I read that it will be scheduled for redevelopment; and a fact that I am sure makes the residents living there bitter sweet. There are plans to open up a fish market that will allow fishermen to sell directly to local consumers and there are hopes to build a new restaurant. Oh, yes because that spot is perfect!!!! Maybe most of you won’t be rushing out to visit this worn out harbor. 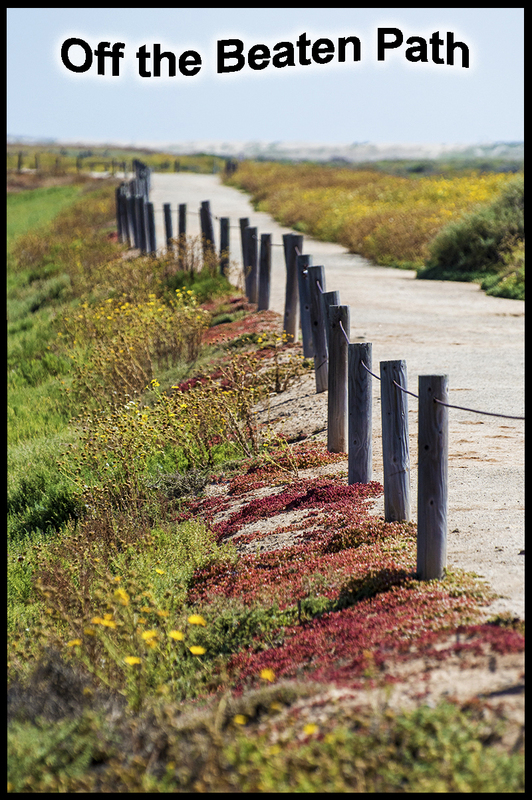 However, if you are in the area, at least check out Point Loma Marina and if you have the time, walk down the sidewalk to Driscoll’s Wharf. The wharf may change one day and get all dressed up just like its sister marina so I am glad I was able to see it now. For me, every weathered plank tells a story, every tattered boat has a tale, and every rusty ladder has seen its share of boat lovers descending to their favorite pastime or beloved job. Old yes, but it is history in a way; it is yesteryear and a simpler time. Until the day it changes, see Driscoll’s Wharf as it is now. 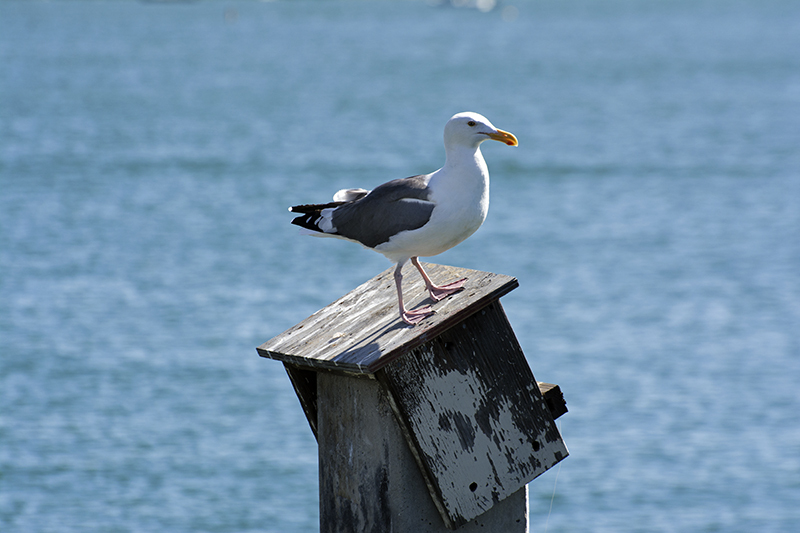 Sit on a bench, close your eyes and notice all of the sounds of the harbor. These are nautical melodies that don’t distinguish between old or new, they are timeless. To hear them, all you have to do is be there. The view from Driscoll’s Wharf. A tiny yacht watches the hybrid sailboard races.